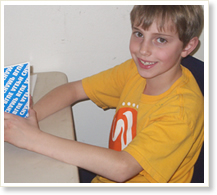 The Jewish Enrichment Program uses the new, acclaimed Aleph Champ program to ensure that your child will read fluently at the end of his/her Hebrew School experience. 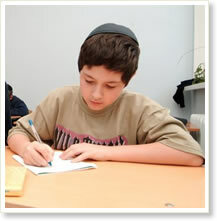 Our philosophy is that every Jewish child is entitled to a Jewish education. To achieve this goal, we have opened the Jewish Enrichment Program to bring this opportunity to the children of our community. Chabad's Hebrew School offers a warm and lively Jewish atmosphere where children can attain a unique and exciting awareness of their Jewish identity. At The JEP we recognize that each child is a unique individual with different learning styles and abilities.